What kind of deck do you have? Is it a balcony, patio, roof, or pool? Believe it or not, there are thousands of products and scores of decking systems on the market. Dex O Tex, Versa Deck, Life Deck, Mer-Cote, the list goes on and on. It is imperative that you choose a professional who uses top-notch products, has expert installation know how, and is focused on customer needs. 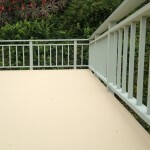 Enter Prestige Deck Coating. 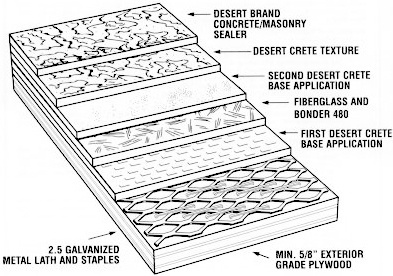 When it comes to the specs of waterproofing decks, look no further! Pool Deck Resurfacing. We apply a textured overlay across the existing salt aggregate concrete pool deck to give it a fresh look. *We give a three-year warranty with The Flex System. -Trowel down cementitious base coat with a polymer additive. 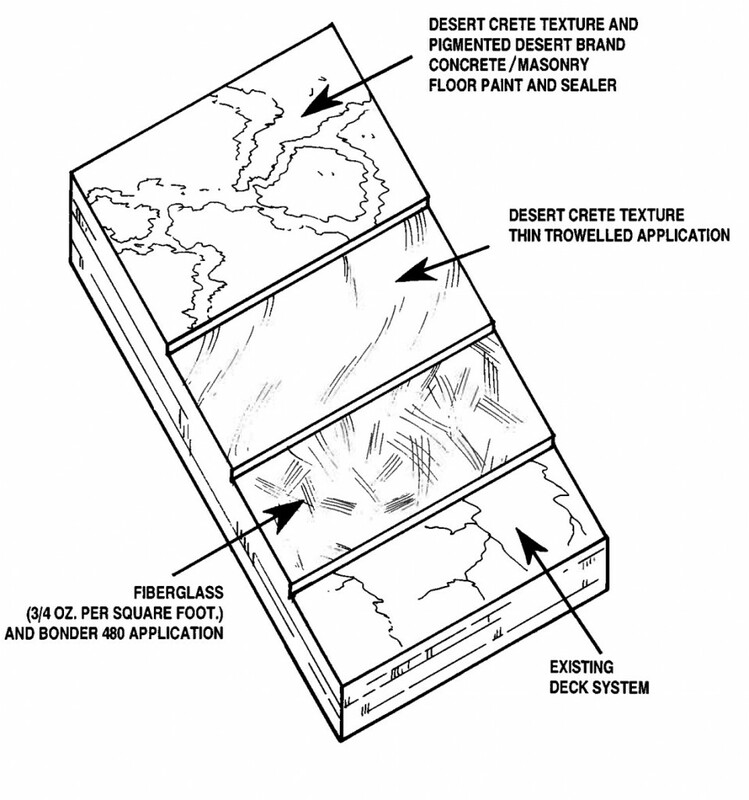 -Laminate using fiberglass matting and acrylic resin. -Trowel down an extra layer of our cementitious base coat. -Spray texture of your choice. -Seal using fortified concrete paint sealer. *We give a 5 + 5 year warranty with The Crete System. As you can see, we have the specs of waterproofing decks down! From pools to concrete resurfacing to plywood based decks, our attention to customers, products and installation is second to none! 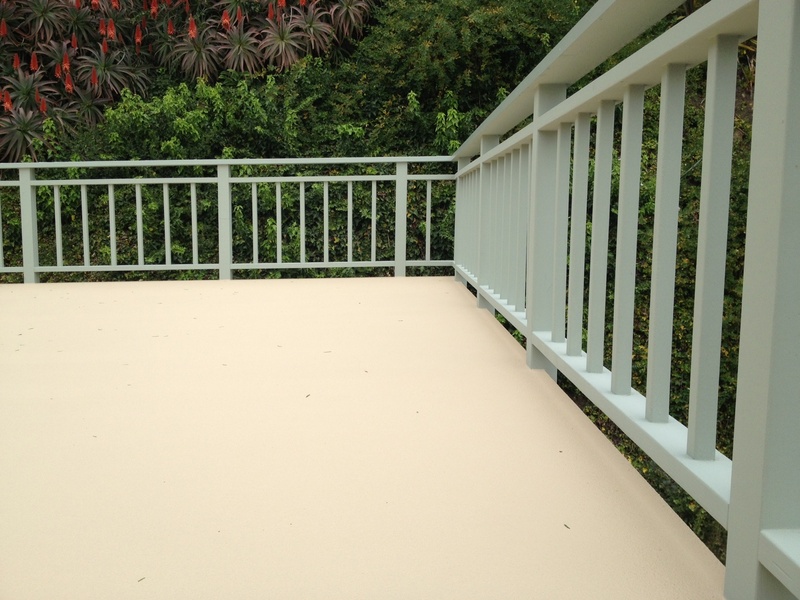 Waterproofing decks is our pleasure, so call Prestige Deck Coating today to receive a free estimate and begin your invitation to welcome the rain!